We do installation, repairs and maintenance services. At John E. Steele, Jr. Inc., we realize that a high-quality roof for your home and business is important for both appearance and function. 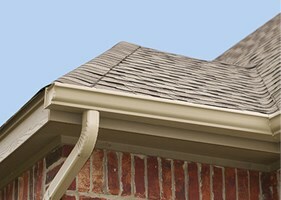 We strive to satisfy our roofing customers with a high quality, finished product that will last for years! "The men who did our roof did an excellent job. I was very happy with their work. They did a great job cleaning up." "Great job! Looks wonderful. Crew at house was pleasant, quiet and friendly. No loud talking or music! 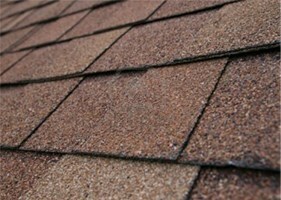 We are very pleased with the job and with our decision to choose you to do our roof!" "It was a pleasure, in every respect, doing business with you. Thanks for being a true professional and good guy." "You have a great group of guys working for you. They were very friendly, polite and professional. There was not one thing left to clean up after they left. You would have never known they had been here. Everything that was said would be done was done. Jim is a great crew boss. I would recommend your company and the crew that was at our house to anyone. We were told about you through work done by you for people my husband work with at WL Gore. We were very pleased with your work and the timely manner in which the job was done. Thank you and it was a pleasure to meet you all." "You sent us a very good man to do our work. We really appreciate his work. Thank you." "I would highly recommend your company. This was one of the best experiences we have had dealing with any company. Thank you very much." "Staff offered to take before and after pictures with my camera during the removal and install process. Very much appreciated." "Thank you for a job well done. Your company exceeded our expectation! We will certainly tell our neighbors and friends that they should call you!" "I was very impressed with the promptness and cleanup was terrific." "Thank you again for the prompt repair. In the headache of selling the house you guys were a huge help in smoothing the process!" "Awesome job! 1000% happy with your work. Looks awesome! Thank you!" 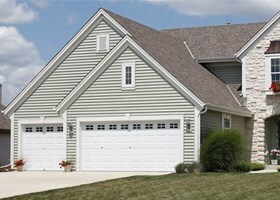 "I want to thank you so much for the great job your company did in putting on my new roof. They were prompt, diligent and hardworking through the whole process. Also, they were friendly and they answered all of my questions. My house and surrounding area were left immaculately clean. They clean up all of the debris when they left. Also, I thought the pricing was extremely fair and reasonable. It is a great feeling of security and looks really beautiful to have a fresh, new roof on my house! Thank you so much for such an excellent job."